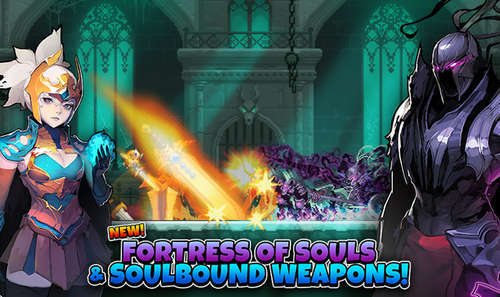 The original God Mode hack for Crusaders Quest latest version 4.4.7 has finally arrived. Collect the most powerful heroes and match your way through various combat missions in this old-school RPG about inept goddesses and corrupted forests. The story is set in a fantasy world where players become crusaders, mercenaries working to save and protect the cursed land. The evil Soltar is corrupting people with his magic and your job is to go on quests trying to stop him and save the Goddess of the land. - I CANNOT FIX THE PROBLEM SINCE IT’S A STUPID SHARED FUNCTION BUT YOU CAN EASLY WIN BY QUICK KILLING THE ENEMIES! Modding attack is useless because it’s also a shared function but it’s more than nothing. - ONLY use mod if the game is too hard or too boring. It’s better to start playing without mod if you just got started with the game! - I can't be held responsible for any banned accounts.No Root is needed!